Tue., 9 Jul. - Mon., 22 Jul. Wed., 25 Sep. - Sun., 29 Sep. Sat., 27 Jul. - Mon., 5 Aug. 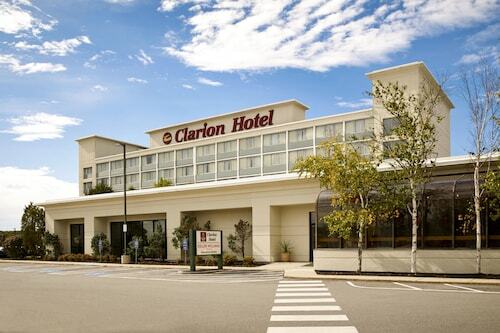 Situated near the airport, this hotel is 2.1 mi (3.4 km) from Thompson's Point and 2.1 mi (3.4 km) from Maine Mall. Hadlock Field and Portland Exposition Building are also within 3 mi (5 km). 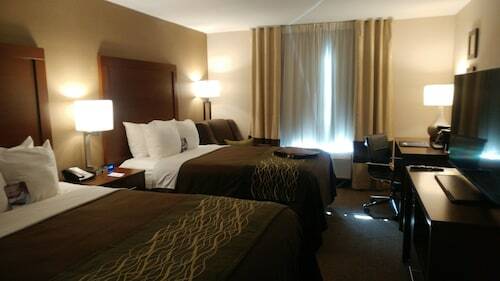 Situated near the airport, this hotel is within 3 mi (5 km) of Maine Mall, Sable Oaks Golf Course, and Thompson's Point. Hadlock Field and Portland Exposition Building are also within 3 mi (5 km). Located in Downtown Portland, this hotel is within a 10-minute walk of Wadsworth-Longfellow House and Victoria Mansion. Portland Museum of Art and Portland Observatory are also within 1 mi (2 km). Situated in Portland, this hotel is 0.2 mi (0.3 km) from Hadlock Field and 1.4 mi (2.3 km) from Cross Insurance Arena. Portland Exposition Building and Deering Oaks Park are also within 15 minutes. Portland Transportation Center is 16 minutes by foot. Situated near the airport, this hotel is within 1 mi (2 km) of Sable Oaks Golf Course and Maine Mall. Nonesuch River Golf Club and Maine Military Museum are also within 3 mi (5 km). Situated near the airport, this hotel is within a 15-minute walk of Thompson's Point, Hadlock Field, and Portland Exposition Building. Victoria Mansion is 1.6 mi (2.6 km) away. Portland Transportation Center is 6 minutes by foot. Situated in Portland, this apartment building is 1.9 mi (3 km) from Thompson's Point and 2.5 mi (4 km) from Maine Mall. Hadlock Field and Portland Exposition Building are also within 3 mi (5 km). This smoke-free hotel is 1 mile from Portland International Jetport and 5 miles from the Old Port waterfront district. Question : What is the cheapest date to fly to Portland? Answer : As of Apr 22nd, the best day for booking to Portland (PWM) is May 17th. A ticket will put you out $598, which is 58% below the average price to book the same route. Answer : Yes, you can change your departure or arrival date. If you wish to save a little cash in doing so, the cheapest day to fly in May is Sunday. If you like to go with the flow, you may just find that you can pocket some extra money that you can use for future trips. Question : What is the cheapest airline flying from Vancouver to Portland? Answer : Prices are hitting highs of $3,055 over the next three months when flying to PWM from YVR. Check out Delta Air Lines, as they have ticket reservations at just $551. Answer : The cheapest day to fly from Vancouver to Portland is on Sunday. So, if you would like to save a little money on your next holiday look for flights on Sunday. Question : How much is a plane ticket to Portland (PWM) from Vancouver (YVR)? Answer : Cost can range anywhere from $551 to $3,055, prices for YVR to PWM do change a lot more than the majority of routes from Canada. Prices are usually cheaper the further out you book. Question : How long do most people stay on their visit to Portland? Answer : Of course, you are not most people, but if you were, you'd stay roughly four days.